The Multi-Coin holders are finished. They have been added to the www.engravingvises.com site. Looks like a beautiful holding fixture, Steve! Thank you for your service to the engraving community. I'll be saving my pennies for this! Thanks Steve for the heads up, sent my postal money order this afternoon with a few other items also. Can't wait to put this holder through the paces! Thanks everyone! The coin vise holds some 61 different coins. There wasn't enough room to write all of them on the holder. ! It is made with US denominations in mind, but it will accommodate a wide variety of coins from many countries. 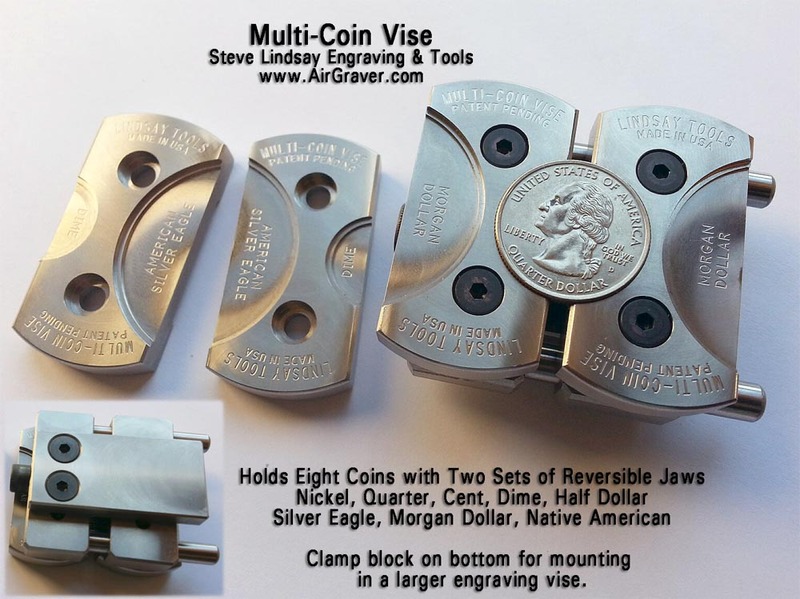 The full list can be found at: http://airgraver.com/Multi-Coin-Vise.htm In addition, the lower recess of the Native American pocket is one inch so that one inch discs can be held. I have tested over 150 different types of coins on it, is practically universal for all the types of coins from 14 mm up to 40 mm. I have make a little video test,and is practically universal ! Hey, Cool! Great video Thank you for trying it with so many of the various foreign coins! How many was that in the video? How much would this cost if we already have the palm vise, and do not need the base? You wouldn't need the base but just the jaws. The jaws will fit right on the PalmControl vise without the base. AWSOME! Do they also work with the Goliath? Hi Motome, For the Goliath the coin jaw base portion is needed. The base is needed with the low profile vise, correct? 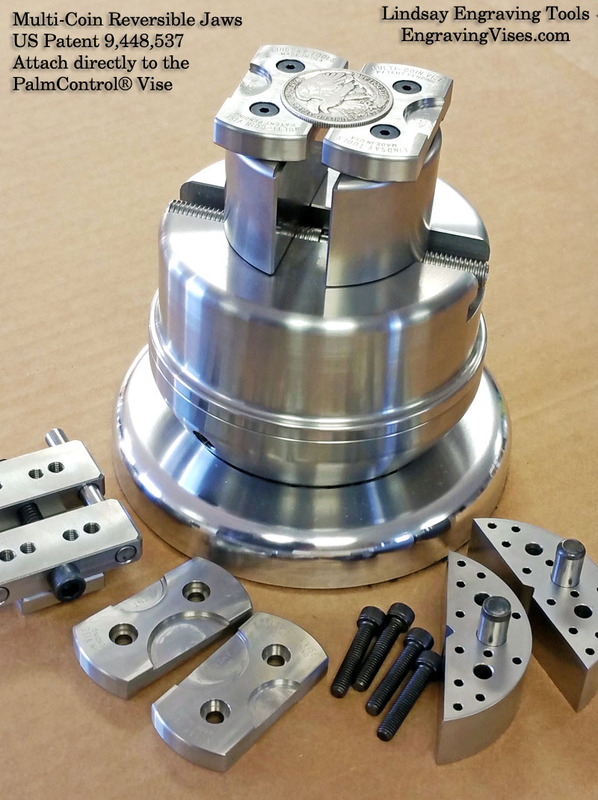 Hi Bill, Yes, the base is needed with the low profile turntable vise.